Vuzu Amp was a South African youth-oriented digital satellite television channel produced by M-Net for pay television platform DStv described as "an amplified experience" of the Vuzu channel, featuring local and international content. The channel was aimed at DStv Premium customers and was replaced by 1Magic in 2018. Vuzu Amp was a first-run channel for DStv Premium in HD. Vuzu, which is also on DStv Compact, is broadcast in SD and features a combination of exclusive and repeat content. 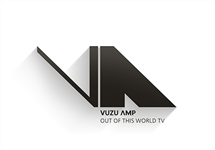 Vuzu Amp was born in October 2014 along with fellow defunct M-Net channel M-Net Edge, with both targeting an exclusive viewership on the Premium package on DStv. They replaced the also-defunct channels M-Net Series Showcase and M-Net Series Reality. Vuzu Amp was a first-run channel, with Vuzu inheriting content from it after broadcast. The channel featured a wide variety of genres including drama, reality, comedy, animation, extreme sports, gaming and magazine style shows. 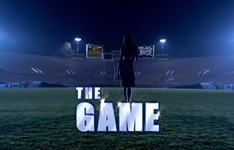 At launch, the channel hosted the season premieres of many popular shows such as The Vampire Diaries, Devious Maids, Brooklyn Nine-Nine, So You Think You Can Dance and Pretty Little Liars. There were also improved versions of homegrown programmes such as V Entertainment, 10 over 10 and Dineo's Diary. Originally airing on Channel 114, Vuzu Amp changed to Channel 103 from Friday 1 July, 2016. The move was to put the channel alongside M-Net's other first-run channels M-Net (101) and M-Net Edge (102). Vuzu Amp was discontinued on Sunday 28 January, 2018, and replaced with 1Magic. Summary: A spinoff of Girlfriends, this comedy-drama follows the fortunes of a group of women who all have relationships with pro football players. Summary: For Better or Worse is a not-so-subtle situation comedy that follows the zany and sometimes tumultuous relationship of a lovesick married couple. CHANNEL: Vuzu Amp | A humorous look at Rickey Smiley's hectic life as he manages his career, fatherhood and personal life. 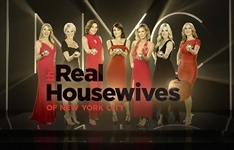 CHANNEL: Vuzu Amp | Teresa Giudice, Melissa Gorga, Dolores Catania and Siggy Flicker are joined by new girl Margaret Josephs. 1Magic debuts with two new South African shows - and Muvhango's Sindi Dlathu.